Since 1992, betting on sports was considered legal in only one US state – Nevada. However, in May 2018, the US sports betting industry had a breakthrough. The US Supreme Court overruled the Professional and Amateur Sports Protection Act (PASPA). The Supreme Court’s decision means that every state now has the right to determine for itself whether or not it would allow sports betting to be legal under its jurisdiction. Five years ago, eSports was a newborn enterprise, with small audiences and even smaller purses. Today, games like League of Legends and CS:GO sell out arenas and pay out millions of dollars. American eSport fans and gambling operators are beyond excited as a result of legalization and the newfound popularity. Enthusiasts and stakeholders have begun to eye this multi-billion-dollar industry. The question do, however, remain how eSports will fit into the future of American sports entertainment. The implementation of the ruling in the US states may not be immediate as 16 states, including California, New York, and Illinois, have introduced a bill to allow sports betting but it has not been passed yet. Immediately after PASPA was overturned, seven states, like Nevada, Mississippi, and Maryland, immediately legalized sports betting, while Utah still retains its stance on sports betting as the activity is still illegal in the state. Legalized sports betting is bound to have a massive impact on the US economy as the expected amount of money spent by sports betting patrons is estimated to be more than $41 billion. Also, sports betting is expected to provide 86,819 direct and 129,852 indirect jobs, raking in about $4 billion and $7 billion in income respectively. The total fiscal impacts from these jobs would be around $8.4 billion – state and local tax impacts being $3.4 billion, and federal share less than $5 billion. For more details on who stands to gain the most now that eSports and traditional sports betting has been legalized and other important insights, check out the infographic below. 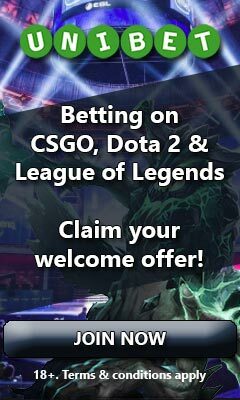 Sign up for eBetFinder’s newsletter!